Bwindi Impenetrable National Park lies in the south west of Uganda stretching for 321Km2 at an elevation of 1,160 – 2,607 m above sea level. Bwindi is one of those areas in East Africa with large expanse of Afro montane lowland forest which dates back to the pre-historic era and is known to have survived the last ice age. As a result of this, Bwindi forest has great biodiversity concentration with enormous number of trees in East Africa considering the caliber of its altitude.Like other protected areas that lie in the Albertine rift, Bwindi has a range of butterfly species some of which are endemic and is considered among those areas with great mammal numbers. Holding over 400 out of 880 mountain gorillas that exist in the wild, Bwindi has been re-known worldwide as a gorilla trekking safari destination. Bwindi Impenetrable Forest National Park has positioned its self as an isolated forested landscape of rich biodiversity significance surrounded by a heavily populated agricultural landscape that can be categorized among the top most populated areas in the African tropics. In terms of biodiversity, Bwindi has 163 species of trees, 104 species of fern alongside other taxa. 16 species of these are endemic to the south western region of Uganda with Lavoa swynnertonii considered as threatened on a world scale. The name Impenetrable arises from the dense undergrowth that characterizes this prehistoric forest making the penetration rather challenging. Besides flora, Bwindi comprises a rich fauna community in East Africa with 214 species of birds, 7 species of diurnal primate, 129 species of mammals and 202 species of butterfly. The protected area of Bwindi is an important zone for the conservation of African montane wildlife including those that are endemic to the Albertine rift highlands including the nine (9) world threatened species such as the mountain gorilla, L’Hoest’s Monkey, endangered species of African giant swallowtail, Chaplin’s flycatcher, African broad bill, African elephant, Grauer’s rush Warbler and cream-banded swallowtail. The populations of buffalo got extinct in 1960s due to severe poaching and the similar fate befell the leopards of recent. This Gorilla safari destination of Bwindi was established in 1932 with the gazzetion of the north and south sectors as Kasatora and Kayonza forest reserves respectively stretching to 20,700ha. In 1948, the two reserves were adjoined and incorporated into the Impenetrable Central Forest Reserve stretching to 29,800ha. In 1961, these local reserves were adjoined with the central reserve expanding the protected area to 32,080ha. The reserve was declared an animal sanctuary in the same year in a bid to grant mountain gorillas extra protection. The protected area of Bwindi eventually got park status in 1991 when other protected areas of Rwenzori and Mgahinga gorilla were getting the same status. The final gazzettion saw the incorporation of 1,000ha Mbwa tract.Geographically, Bwindi Impenetrable National Park is shaped by steep forested landscapes and narrow valleys with the landscape tilted to the south west from the north and west parts of the forest. Bwindi is a great water catchment area forming a ground for rivers like River Ivi and other streams that serve the adjacent heavily populated agricultural communities. Three tributaries of River Ishasha flow to Lake Edward while Nshongi, Kanyamwabo and Ndego rivers flow south to Lake Mutanda. Besides that, Bwindi forms the ground where the mountain forest adjoins the lowland forest community. The protected area of Bwindi is not so rich in terms of archaeology. However, the Kigeti region could have been occupied 37,000 years ago considering the vegetation manipulation by the Batwa 4,800 years ago showing the earliest evidence of cultivation in the tropical Africa.Like any other part of Africa, the naming of Bwindi has got a rich legendary connotation. The name Bwindi dates back to a century past at the epitome of human migrations from Zaire, Rwanda and in the adjacent southern areas when people were motivated by the search for vast arable lands in the north to settle and practice agriculture. Like in any other traditional Africa, there was no clear path or a map to demonstrate which accessible route these people could have used which made them to traverse the jungle like any other fearless traditional Africans that lived alongside wildlife. One day when the family was migrating to the north, they met an expanse swamp that was water logged and provided nothing like a route that they could use to the other side. Standing in a state of wonder on the swamp side, the swamp spirit came to rescue but at a considerable price of sacrificing their beautiful and loved daughter in the names of Nnyinamukari. This was a terrifying moment to the parents and a great testing moment in which the family was in position to come up with the decision. Considering the distance that the family had travelled and the journey drive, the family found it hard to go back and after 2 days of contemplation, they decided to give in their daughter by drowning her in the swamp waters and in return the spirit made the way through for the migrating family. The story of the drowned daughter spread hastily to the adjacent communities and generated fear in the hearts of the people which made them to fear the area. In return, the place was named Umubwindi bwa Nnyinamukari literally translated as the dark place of Nnyinamukari. The place was since known as Bwindi or Umubwindi. The Umubwindi swamp is there and can be seen on your gorilla safari in Uganda. The critically endangered Mountain gorillas are descendants of ancestral monkeys and apes that used to live in Africa and Arabia at the onset of the Oligocene epoch (34 – 24 million of years ago). The fossil archive indicates the presence of hominoid primates (apes) dwelling in East Africa approximately 18 – 22 years ago. The fossil record of the endangered mountain gorillas that form the ground for gorilla trekking safaris in Uganda is poor and lacks a perfect evolutionary history. However, about 9 million years ago the primate group that evolved into gorillas separated from their mutual ancestor alongside chimps and humans leading to the emergence of genus gorilla. Though the gorilla’s earliest relative is not clear, it is mostly referred to as Proconsul Africanus – the early ape. The Mountain gorillas and eastern lowland gorillas have been separated from one another about 400,000 years ago and these two seem to have separated from their western counterparts over 2 million years ago. The debate for the gorilla classification has taken long to be resolved. The first attempt was made in 1967 when the genus was called Troglodytes but this did not kast as in 1847, the denus was reffred back to Gorilla. In 1967, the taxonomist Colin Groves suggested that all Gorillas should be considered as single species (Gorilla Gorilla) with three sub species Gorilla gorilla graueri (lowland gorillas found west of the Virungas) Gorilla gorilla gorilla (western lowland gorilla), and Gorilla gorilla beringei (Bwindi and Virunga endemic mountain gorillas). Following the IUCN review in 2003, the gorillas were grouped into two species Gorilla beringei and Gorilla gorilla. This research has in turn popularized these endangered apes invigorating people’s desire to undertake gorilla safaris in Uganda and Rwanda. Mountain gorillas are shy and mostly less offensive with a dietary interest in vegetation. They have frightening eyes and with much fur on their bodies. They tend to rise to a straight position when provoked and beat their hands on their chest trying to frighten the attacker. Mountain gorillas are large and powerful apes compared to other apes with an average height of 1.7 m (6 ft.) and weigh between 140 to 275 kg for the sake of males. The female gender is about 40 to 50% smaller. Regardless of the differences in weight structure, both males and females are strong enough with capacity to rip branches from bushes and uproot minor trees. Mountain gorillas spend much of the time foraging with breaks in between to rest and socialize. Buhoma- Mubare, Habinyanja and Rushegura. Ruhija- Bitukura, Oruzogo and the research group Kyaguriro. 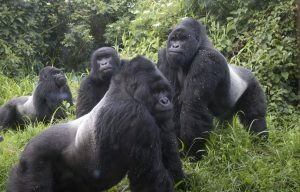 Nkuringo – Nkuringo Gorilla group. Rushaga – Nshongi, Mishaya, Kahungye, Bweza, and Busingye. This gorilla family comprises of 8 members with 1 silverback and it is the oldest gorilla family to be habituated. Its habituation started on 15th October 1991 in Mubare hills and its visitation started two years later on 13th October 1993. At first, the gorilla family had 12 members with their silverback Ruhondeza. A wild gorilla group attacked the Mubare family in March 2012 and confiscated some of the members after breaking Ruhondeza’s leadership. Ruhondeza abandoned the family and lived a solitary life in the adjacent community forest with keen supervision from the researchers until he died on 27th June 2012 in his sleep in the village of Rubona adjacent to Bwindi at the age of 50 years. The grave of Ruhondeza can be visited on a guided tour at Buhoma. As a result of this attack, the Mubare gorilla family remained with 5 members until March 2013 when other 4 gorillas joined it with anew silverback Kanyonyi who managed to broaden the family again to eight (8) members including the baby Kashundwe. The Mubare gorilla family permits are highly demanded due to close proximity to other Uganda safari destinations like Queen Elizabeth National Park and less challenging hike during the gorilla trekking activity. The Habinyanja gorilla family comprises of 18 members with 2 silverbacks. The Habinyanja gorilla group was habituated in 1997 and received its forst gorilla trekkers in 1999. The name Habinyanja is derived from a local dialect Nyanja that literally translates to a body of water. The gorilla group was first seen around a swamp in the impenetrable forest of Bwindi. Mugurusi (Old man) was the main silverback at the time of habituation and because of his age he later kicked the bucket leaving his two brothers Mwirima and Rwansigazi to take over. Unfortunately, the two brothers could not share power for some time due to character differences. Mwirima preferred foraging with in a limited range while Rwansigazi was adventurous and preferred extended movements. As a result the two split harmoniously in 2002. The Rwansigazi group maintained the Habinyanja name while the Mwirima group became Rushegura gorilla family. Rwansigazi later left leadership of Habinyanja and the silverback Maraka took over up to now. The two gorilla families tend to meet occasionally and have mutual moments together. Kisho is the Alpha male that leads the female chapter. Rushegura gorilla family had 19 members with 1 silverback. It came into existence in 2002 when Mwirima broke away from Rwansigazi which were having a coalition leadership in the gorilla family of Habinyanja. At the time of separation, Rushegura comprised of 12 members with 1 silverback. The name of this gorilla family is derived from Ebishegura species of trees that abundantly exist in the area where this gorilla family dwells. Apart from border crossings to Democratic Republic of Congo, the Rushegura gorilla family is a reserved group and tends to dwell in the surrounding of Buhoma village with occasional visits to Gorilla Forest Camp gardens which surprises guests on Uganda gorilla safari staying at this establishment. The Bitukura gorilla family has 14 members with 4 silverbacks. Named after the River where it was first seen, the Bitukura gorilla family was habituated in July 2007. 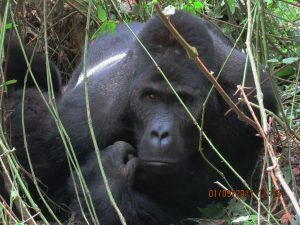 The habituation exercise of this gorilla family did not take too long as it was regularly in human contact with Uganda Wildlife Authority rangers and no wonder that by 15 months of habituation, the group had started to receive gorilla trekkers unlike the normal two (2) year duration. Bitukura is a unique group with 4 silverbacks that live harmoniously with regular get together or family meetings. Initially, the gorilla family had 24 members but due to internal instabilities, some members resolved to quit and may be joined other groups. In the early months of 2013, the Bitukura gorilla family was blessed with a baby born. The Oruzogo gorilla family comprises of 23 members with 1 silverback and is one of the recent gorilla families to be unwrapped for gorilla trekking. 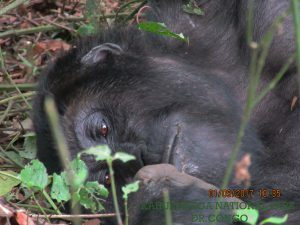 The Oruzogo gorilla family dwells in the tracts of Ruhija and the dominant silverback is called Tibirikwata. The gorilla family was opened for trekking on 20th June 2011 which qualifies it as the last gorilla family to be availed to gorilla safari undertakers. The Oruzogo family has got playful juveniles who make the group very thrilling to trek. The Nkuringo gorilla family comprises of 19 members with 2 silverbacks. The word Nkuringo literally translates to a round hill and the Nkuringo group derives its name from the round hill where it was first seen. The gorilla family was opened in 2004 to gorilla trekkers after 2 years of habituation. The habituation of this group was motivated by the need to avert their encroachment on peoples’ plantations. Nkuringo was the first silverback and passed away in April 2008 leaving behind two (2) silverbacks; Safari and Rafiki. In return, Safari became the dominant silverback and in November 2008, the twin babies were born that is Muhozi and Katungi broadening the gorilla family further. Unfortunately, Katungi passed away at 1 ½ years of age as a result of sickness. The Nkuringo group of famously known among gorilla safari undertakers for its strenuous trek that requires physical fitness and energy. 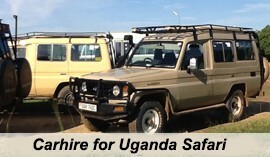 The combination of this derives ultimate safari experience in Uganda. The Nshongi gorilla family comprises of 18 members. Formally introduced for gorilla trekking in September 2009, Nshongi is the largest gorilla family ever habituated with 36 family members. It derives its name from River Nshongi where the group was first seen. The Nshongi gorilla family has 4 silverbacks unlike other families of its stature that tend to have one or two silverbacks. Nshongi is the dominant silverback but surprisingly is not the oldest among the four silverbacks and yet there is no power struggle in between. 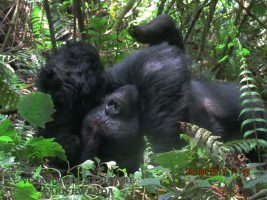 The group separated in July 2010 remaining with 26 members leading to the formation of Mishaya gorilla family and further in 2013, the gorilla family reduced to eighteen (18) leading to formation of Bweza gorilla group. The Mishaya gorilla family comprises of 12 members with 1 Silverback. 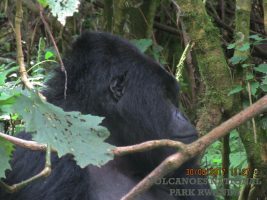 Mishaya gorilla family separated from the Nshongi group in July 2010 with Mishaya as the dominant silverback. Mishaya is re-known for his fighting ability which made him to expand his group to 12 members with three (3) new born babies by conquering more females including non-habituated groups. Mishaya is the most adult member and because of his fighting ability, he always invokes fights with other gorilla families in the region. 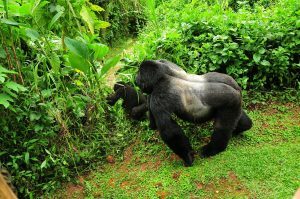 This makes this gorilla family worthy of encountering while on your gorilla safari in Uganda. The Kahungye gorilla family comprises of 13 members with 3 silverbacks. The gorilla family derives its name from the local hill called Kahungye found in the area. 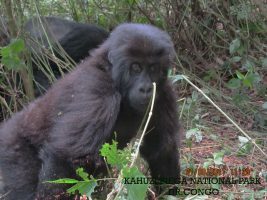 The Kahungye gorilla family has the main silverback called Rumanzi seconded by other two adult males; Rwigi and Ruhamuka. The gorilla group was opened to gorilla trekkers in 2011 and in a range of less than a year the group separated leading to the formation of Busingye gorilla family. Before the group separated, it comprises of 27 members with 3 silverbacks. Bweza gorilla family comprises of 7 members with 1 silverback. This gorilla group was formed when the silverback Bweza separated from Mishaya at the end of 2012. The speculations that Bweza would come together with Mishaya again as had been thought by Uganda Wildlife Authority park Management did not yield results and Bweza was officially introduced for gorilla trekking. Busingye gorilla family comprises of 9 individuals with 1 silverback. 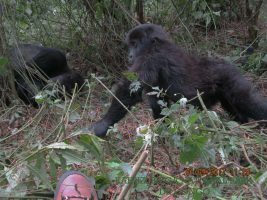 The Busingye gorilla group split from the Kahungye family when Busingye silverback decided to begin his own family in June 2012. Though Busingye means peace, this silverback is very different as it has a lot of fights with other gorilla families. Busingye likes showing his ability and at times when he comes across a wild gorilla family, he seizes a female member ruthlessly to add on his family. By January 2014, the Busingye gorilla family had 9 members with 2 adult females, 3 infants, and the remaining were juveniles making it worthy encountering on your gorilla safari. The Kyaguriro gorilla family comprises of 15 Members with 2 silver backs. At first, this gorilla family was led by Zeus who was a bit old. He was exiled by Rukina his immediate rival and died from there. The Kyaguriro gorilla family is habituated but is used for research and not for trekking. The Batwa are among the last groups of short people. 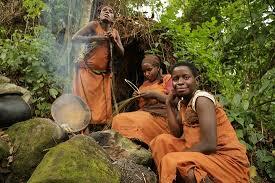 Also known as the Twa or the pygmy, the Batwa have been noted to be of interest to Uganda safari undertakers. Before Bwindi was declared a national park, the Batwa dwelled in the forest of Bwindi and lived a hunter gather life that was centered on the offerings of the forest. These ancient people have lived in these forests of Great lakes Africa for 4,000 years prior to the arrival of the Bantu communities in the region. They have a common legend that their ancestral god Nagasian gave them the obligation of taking care of the forest. As a result, the Batwa lived in mutual symbolic alliance in forests and survived through hunting small game with the help of arrows and bows alongside plant gathering for medicine and food. They built huts with the help of climbing plants and tree leaves from the forest which justifies that the Batwa lived in symbolic alliance with the forest and its containments. It was in 1992 when the lives of the Batwa community like many other communities in Uganda and East Africa in general were altered during the gazettion of Bwindi Impenetrable forest as a national Park. The Batwa experienced untimely eviction from their traditional homeland and became like refugees in the world that they did not understand its dynamics. Their skills and survival modes were totally irrelevant to their new environment which formed a ground for their suffering. They were put on the forest margins with little help. This did not only destroy their forest heritage but also threatened the continuity of people themselves. When the Batwa were at the verge of their demise, American medical missionaries – Dr. Scott and Carol Kellermans came to their rescue in 2001. They got for them land and invented programmes to work towards improvement of Batwa lives and conditions. Water and sanitation projects were also established alongside school, housing and hospital. The tourists on Uganda safari can usually encounter the pygmy people and their heritage at their eco-tourism site managed by the Batwa Development Program (BDP). Bwindi is one the birding hotspots not only in Uganda but Africa in general which makes to attract birders to plan safaris to Uganda. It provides the best montane forest bird watching opportunities in Africa with 350 bird species including 23 species that are endemic to the Albertine species with 14 identified nowhere in Uganda. Examples of globally threatened species that can be traced in Bwindi include; Shelly’s Crimson wing and African Green Broadbill. Other bird species include; African Broadbill; Black-billed Turaco, Handsome Francolin; Purple-breasted, Blue-headed and Regal Sunbirds; Black and Cinnamon-chested Bee-eaters; Western Green Tinker bird; Mountain-masked and Collared Apalis; Short-tailed and Black-faced Rufous Warblers; Many-colored Bush-Shrike, and Mountain and Yellow-streaked Greenbuls among others. 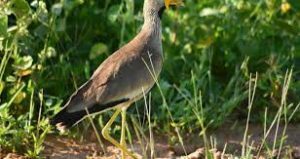 The area of Ruhiija is considered to be among the spotlights of birding areas in Uganda with rich bird counts with in the surrounding environs. The bird abundance makes it easy for birders to spot them on the birding safari in Uganda. The early morning birding encounters provides chances of spotting the handsome Francolin, white-tailed crested Flycatcher, Cinnamon-chested bee-eater, Ruwenzori batis, western Green Tinker bird, red-faced woodland Warbler, Mountain plus yellow-streaked Greenbuls as well as chestnut-throated Apalis, among others. Gorilla trekking is one of the prime Uganda safari activities not only in Bwindi but also at national grid. The gorilla trekking safari activity is carried out in the respective regions where the habituated gorilla groups are traced. The Buhoma region in the north has three (3) habituated groups namely; Mubare, Habinyanja and Rushegura. 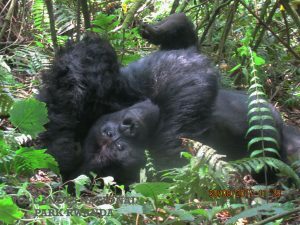 Ruhija in the east has two (2) habituated gorilla groups namely; Bitukura and Oruzogo; Rushaga in the south has five (5) habituated gorilla families namely; Kahungye, Bweza, Busingye, Mishaya and Nshongi while Nkuringo in the west has one (1) habituated gorilla group namely; Nkuringo. Each of these gorilla families take up to eight (8) gorilla trekkers per day who are supposed to have one (1) hour direct encounter with gorillas. Tracking gorillas start at 8am with short briefing at the respective Uganda Wildlife Headquarters in each of these four regions before gorilla trekkers set off to the impenetrable forest covered by mist for a 2 – 8 hours activity depending on the gorilla movements. To track gorillas in Bwindi, one needs a gorilla trekking permit issued by Uganda Wildlife Authority at a cost of $600 in the peak season or $350 in the low season for foreign nonresidents, $500 in the peak season or $250 in the low season for Foreign residents, 250,000/= in the peak season or 100,000/= for East African citizens in the low season. The UWA park ranger guides you through the whole exercise. The gorilla trekker has to put on jungle shoes that can withstand the slippery surfaces. If uncomfortable with jungle sounds, you can use ear plugs. A hat, sunscreen lotion and insect repellant are vital on this activity. Packed lunch is a must as the duration of the gorilla trekking activity is unpredictable. Walking sticks to help you traverse rugged surfaces is also recommendable. Bwindi has about 350 species of birds of which 23 are endemic to Albertine rift and 14 are identified nowhere else in Uganda. Thus, birding in Bwindi is not by accident. Endemics like Blue headed sun bird, Short tailed warbler, among others alongside other species like the Red headed blue bill, Common Bulbul, African blue and white tailed blue flycatchers and African Emerald cuckoo may be encountered in Bwindi. Birding is properly done in the morning and late in the evening. Birding in Bwindi can be carrid out along the Buhoma waterfall trail, Mubwindi swamp, along Bamboo zone and along the main trail. This takes 3 – 4 hours and takes you around the village of Buhoma. It commences at a handicraft shop that sells locally produced crafts like wood carvings, fabrics, and bees wax candles among others. The community walk also exposes you the Batwa where it is ideal to explore their adaptation to their new life after being evicted from the forest. Traditional Performances, traditional healer with expertise in herbs, local primary school not forgetting experiential community activities like participating in making banana juice, local brew and gin. 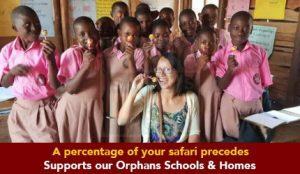 The collections fund the community development projects like the secondary school, microfinance circle and maize mill. The collections from the Batwa performances are given back to them in full. Nkuringo is positioned close to Democratic Republic of Congo boarder thus offering impressive views of Congo. It is a good place for both culture and scenery. You visit the black smith – Nicholas where iron smelting that dates back to the Stone Age period is evidently seen in this contemporary world. Tools like machetes and knives are crafted out live. Traditional home encounters are availed by Sicilia who takes around her home with a range of local huts having traditional tools like the grinding stone, local waragi distilling apparatus and cooking pots. The village traditional healer, Pena demonstrates how she uses traditional plants to produce ointments, tea and herbal powders that are used in curing various ailments. To discover the offerings of the forest of Buniga, you traverse it under a guided walk provided by Nkuringo Community Conservation and Development Foundation (NCCDF) on your safari in Uganda. 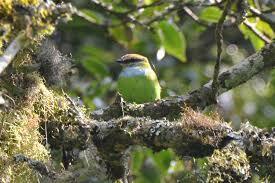 It is among the three pocket forests that lie close to the impenetrable forest of Bwindi with rich flora and fauna. As a result of increased encroachment that had caused biodiversity loss and respective forest resources, the alternative mode of use for this forest was crafted and a trail was set up to promote eco-tourism encounters that would seem to be more sustainable and generating returns to the adjacent communities. The Nkuringo Cultural Center is there to help you acquire a skill on your Uganda safari. Besides trekking gorillas in Bwindi, you can also have a skill to take home. The workshops range from traditional cooking, weaving, dancing and drumming. The center also offers a guided village walks through resident homesteads, charting with local people, learning the local life style and enjoy the craft demonstration. You also pay a visit to the school and enjoy the traditional Kiga dance that leaves the earth shaking. The community of Nyundo experienced the tragic climate change when the rain volumes began to plummet and patterns changed, hill sides faced severe erosion and mist disappeared and eventually the crop production began to fall. As a result, the community resolved to restore the forest which reversed the tragic course that had positioned itself to disrupt their livelihood. The eco-tourism trails were set up in the forest of Nyundo to ensure its sustainable use. You gain impressive scenic views of King Bakyara’s water fall by taking that trail. You also visit the local brewing distillery, blacksmith, bee keeper, and banana plantation and cattle farm. The traditional skill trail offers the experiences regarding millet bread preparation craft making and yoghurt making. This is typically designed to explore the life in Rubuguri area. Accessed by dirty road passing through hilly and steep landscapes, the Rubuguri area stands in isolation with its friendly and welcoming inhabitants. The Rubuguri village walk allows you through the swamp, homesteads with opportunity to encounter the local people. You also pay a visit too St. Peters Primary School to have an encounter with teachers and pupils and enjoy the traditional Bakiga dance. Bwindi Impenetrable National Park has a range of accommodation establishments that are distributed in its four gorilla trekking regions of Buhoma, Ruhija, Rushaga and Nkuringo. They range from luxury to midrange and budget. This is positioned at the Bwindi park entrance Buhoma sector and is a budget facility. The eco-friendly Buhoma community rest camp is a community development that is designed to provide affordable accommodation to gorilla safari undertakers in Uganda. If lucky, gorillas can be seen around this overnight facility. 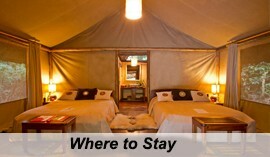 The rest camp has got private safari tents adjoined by well-crafted paths. Its position gives an impressive view of the overlooking forested hilly landscapes. The bandas have got private verandas that offer guests amazing scenic views of the impenetrable forest of Bwindi. The establishment has got an open fronted restaurant that also serves as a bar and a common room for guest interactions, reading and chilling. The accommodation at this establishment is provided in bandas, self-contained safari tents, dormitory style and leveled terraces for camping. It contains six (6) self-contained safari tents, two (2) self-contained cottages, five (5) non-self-contained twin cottage bandas, a dormitory with six (6) beds and camping provision. This is an upmarket permanent accommodation facility in the region of Buhoma where luxury tents are perched on a raised landscape in the pre-historic mist covered forests of Bwindi impenetrable National Park. It caters for upmarket gorilla safari undertakers and its exclusive location offers great deal of privacy and serenity. The accommodation at this top notch facility is availed in its eight (8) well-furnished, self-contained double tents that are fully situated within the park boundaries. All tents have wide terrace where guests can relax and enjoy the sights of nature. The Lake Kitandara Bwindi Camp is amid range facility for standard Uganda gorilla safari undertakers. Crafted in traditional African form, the camp has impressive tents with up to date facilities. The Lake Kitandara Bwindi Camp offers its accommodation in its 20 self-contained tents that derive their nomenclature from Uganda’s bird species. The tents have comfortable beds with en suite wash rooms. The 24 hour solar powered electricity is there to arrest your electricity worries while on gorilla safari in Uganda. This is positioned with in the park boundaries. It is within a short travel distance from the gorilla tracking assembly point. It has ten (10) cottages that have been well built, each with private terrace that gives impressive views of the forest. It is a luxury establishment that caters for upmarket Uganda gorilla safari undertakers. The spacious cottages come along with comfortable beds with en suite washroom and bath tubs in certain rooms. The lounge at an elevated point alongside the restaurant and bar provide an ideal environment to relax and peruse through your memories. The hot beverages are present the whole day on your discretion but in the morning, they are taken to the guest cottages following wake up calls as necessary. Mosquito proof realm in every room. Restaurant and Bar with forest views. This is among the budget accommodation facilities in Buhoma, Bwindi Impenetrable National Park. It is a guest center that is inherently aimed at gorilla conservation. It is positioned at the edge of the park providing overnight stay for tourists, researchers and students. The 100% of its profits are dedicated to gorilla conservation. 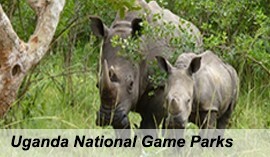 Initially operated by Kimbla Mantana at the opening of gorilla safari in 1993, the Camp was taken up by CTPH in 2008. Currently, the camp offers three (3) tents with two (2) single beds and camping facilities. The gorilla research clinic is also found at this site thus can be visited. The camp is close to the Batwa community and is 2km from the park entrance. The silverback lodge s amid range accommodation facility located in Buhoma sector of Bwindi. Perched on the hill top, Silverback lodge is a small cozy lodge with seven (7) rooms designed using local supplies. The creative and unique restaurant menus featuring both local and international cuisine served in chilly environment gives you a reason to stay at this lodge during your gorilla trekking safari. The bar is good featuring local and international brands. The gardens are spacious dotted with butterfly species and birds. This is positioned in Buhoma village close to Bwindi Impenetrable National Park. Overlooking a flowing stream, the lodge is perched on a raised ground that offers impressive views of the forest. Volcanoes Safaris Bwindi lodge comprises of eight (8) bandas overlooking the canopy of the pre-historic Afro montane forest of Bwindi each having a private terrace. All rooms are self-contained and designed in eco-luxury setting to satisfy the interests of gorilla safari holiday makers. The lodge has a lounge and fire side bar that offer you opportunity for chilly relaxation. Eight (8) bandas with 5 twins and 3 doubles crafted with timber and stones with glass fronts. All rooms have en suite facilities with cold and hot running water. The engage lodge is located in the forest extension adjacent to Bwindi forest. The engage lodge comprises of eight (8) cottages that are self-contained with ample spaces in between and serenely surrounded by plant growth. The lodge features the local name for mountain gorillas and it is crafted in local materials put together by local work force. The lodge features a dining room, bar area and spacious verandah for great views. The Kitchen features three course meals. The rooms feature hot and cold running water and en suite washrooms. It has solar powered electricity. The main lodge reception is located close to Buhoma road and the lodge also has spacious parking lot. The Gorilla resort is located in Buhoma overlooking the gorilla trekking haven of Bwindi. The camp is an upmarket establishment that has stood to cater for luxury Uganda gorilla safari undertakers. Its tents are perched on wooden platforms giving the guests great views of the forest and its features. The Mahogany Springs is a luxury establishment inn Buhoma that provides overnight stay for gorilla safari undertakers. The lodge overlooks Munyaga river valley and is crafted in local materials. It is comprised of eight (8) stone cottages well-furnished and equipped with private verandahs. The rooms range from superior suites featuring both double and triple to presidential suite with two (2) bed rooms. The rooms contain enough space, mosquito nets, en suite washrooms with open terracotta shower. The living room contain fire place, library and craft shop. Modern restaurant featuring continental dishes and a weekly barbecue night settles your dinning worries while on gorilla safari in Uganda. The bar is also well equipped. Bwindi guest house offers its accommodation in two units; the gorilla and Monkey house. The chief guesthouse is positioned close to the community hospital of Buhoma. The guesthouse has a living room, kitchen, dining area, outdoor gazebo with provision of encountering Red tailed monkey, porch and a library. The rooms feature both cold and hot running water provided in inbuilt washrooms. There is internet connectivity (Wi-Fi) and electricity. All beds have mosquito nets. The Bwindi View Bandas is a budget establishment perched on the margin of Bwindi forest about 100m from the park entrance. The friendly human resource will make you feel at home. The accommodation to Uganda safari visitors is offered in simple bandas. The dining room features traditional cooking and lit by a simple lantern at night. The rooms range from single to double/twin, triple and camping which is arranged on bed and breakfast. The eco-marvels gorilla resort is positioned on the boundary of Bwindi. It location gives guests impressive views of the forest and a blend of the surrounding communities. This accommodation facility makes it easy for gorilla trekkers to track Oruzogo and Habinyanja. It saves trekkers driving time and fuel to the tracking starting points. The eco – marvels gorilla resort contains lush cottages, up class bandas and a well-planned campsite. The restaurant features International and local dishes while the rooms come in deluxe singles, doubles and family. Internet is free and a guided village walk can be arranged at the establishment. The services cut across budget, midrange and luxury. The Clouds Mountain Gorilla lodge is among the luxurious accommodation establishments in the south east of Bwindi (Nkuringo). Its magnificent architecture coupled by hospitable staff, three course cuisine, fire place, scenic views of the Virunga volcanoes combine to make your overnight stay in Bwindi during your gorilla safari memorable. Wi-Fi and well stocked bar are available. The Nkuringo Gorilla Camp is perched on a raised landscape at 2,161m above sea level on the ridge of Nteko overseeing the pre-historic forest of Bwindi. This natural feature offers a vantage outlook across the river valley of Kashasha and the distant views of the Virunga Volcanoes not forgetting the lush forest canopy of Bwindi where gorilla trekking is carried out. The restaurant serves locally grown food and has provision for self-catering. The Nkuringo gorilla camp provides a perfect base for trekking Nkuringo gorilla group. The Camp features two (2) self-contained cottages, five (5) twin rooms with shared ablutions, one (1) twin banda, safari tents and own camping. Lighting is done with the help of paraffin lanterns while shared bathrooms include; two (2) bush showers and two (2) eco toilets. Guests can request for hot water for bathing. The Nshongi Camp is positioned with in a minutes’ walkable distance to Rushaga Uganda Wildlife Service hut which acts as the assembly point for gorilla trekking activity. The camp forms a perfect ground for trekking the gorilla family of Nshongi while Nkuringo gorilla family is minutes’ away on drive. The camp has four (4) traditional bandas. The camp provides three course meals; coffee & tea including other drinks cannot be missed and can provide lunch box for gorilla safari undertaker. The campfire gives a glance of the African tradition. The Chameleon hill lodge is ideally positioned amidst Bwindi, Mgahinga and Kisoro Uganda safari destinations. Perched on the shores of the lava dammed Lake Mutanda, Chameleon ill offers great scenic views of this volcanic formed lake and the mystical Virunga ranges defining the boundary between Uganda, Rwanda and Democratic Republic of Congo. Chameleon hill lode has 20 seat capacity restaurants featuring both international and local cuisine, ten (10) upmarket chalets with five (5) twin rooms and five (5) permanent Queen Bed rooms. The chalets are well furnished in exclusive décor with each bed featuring a mosquito net. It also has a lounge, overlooking a fire place. The Nyundo Valley Hill Bandas are positioned in the village of Nyundo 6km from the entrance of Buhoma sector. The traditionally crafted bandas offer comfort and scenic views of the mist covered forests of Bwindi. The meals are derived from the locally grown organic foodstuffs and prepared by local women who have mastered their traditional gender role for centuries. Nyundo is an eco-community village thus this is one of the initiatives to promote sustainable livelihoods. Accommodation is provided in its five (5) bandas each featuring a mosquito net and with shared washrooms. The showers feature both cold and hot running water. Ruhija Gorilla safari lodge offers an upmarket accommodation for luxury Uganda gorilla safari undertakers in Ruhija. This lodge features lush chalet accommodation, indoor and outdoor encounters, great dining, well stocked bar, internet connection (Wi-Fi), DSTV, Gift shop, coffee or tea making equipment, wine cellar, mini library and traditional music dance and drama. Ruhija gorilla safari lodge caters for both upmarket and midrange Uganda safari undertakers. Its accommodation is offered in four (4) superior cabins with capacity of eight (8), four (4) deluxe cabins with capacity of eight (8), six (6) standard cabins with capacity of twelve (12) people. Note: The Ruhija Gorilla Safari Lodge will soon open up health club for its guests. Founded by the local people of Katojo parish in the district of Kabale in July 2008, the Ruhija gorilla friends lodge was is aimed at generating income through which the local people can build their livelihood thus saving on forest encroachment and poaching. It is better budget establishment in Ruhija sector. This accommodation facility is well positioned for tracking gorilla groups of Oruzogo and Bitukura since the assembly point of Ruhija sector is 500m from the lodge. The site features safari tents, bar and restaurant overlooking the narrow valleys that characterize the area. The Ruhija gorilla mist camp is comprised of four (4) roof thatched cottages with valley looking balconies. It about 5 minutes’ drive from the park headquarters at Ruhija. The accommodation at this establishment is offered in its clean rooms with electric installations. Camping is provided for with a range of leveled terraces to perch the tents. Meals are derived from local produce while beers and other drinks are available. It has free Wi-Fi, laundry and meeting rooms. The Trekker’s tavern Cottages is poisoned on the one of the top hills in Ruhija overseeing the impenetrable forest of Bwindi. It is an eco- friendly establishment which offer accommodation to gorilla trekkers in its five (5) cottages that are well spaced. The cottages feature en suite facilities. The gift of nature lodge is positioned in Mburameizi, Ruhija Sub-County in the district of Kabale. The lodge features beautiful gardens, cozy restaurant that serve both international and local dishes while its rooms feature both single and double including twin. The lodge has wide screen TV. The Ruhija Community Rest Camp (RCRC) is a community run enterprise that was established tap into the benefits of gorilla tourism in Bwindi. Positioned close to the Institute of Tropical Forests Conservation, the camp is within a minimal range from the UWA headquarters Ruhija. Its accommodation is offered in four (4) cottages that are self-contained with double beds, two (2) cottages with twin beds and two (2) general campsites for self-camping. The accommodation at wagtail eco-safari camp is offered in two (2) self-contained bandas, self-contained banda with two (2) twin rooms, two (2) self-contained tents with double beds, four (4) single rooms with shared washrooms and a campsite. The rooms feature electricity. The bandas are in blend with nature and designed to meet eco-standards. The restaurant serves local and in ternational meals. The handmade wooden beds are crafted from the local materials making the overnight experience completely new. Gorilla Safari lodge is located in the south (Rushaga area) and provides a perfect base for trekking Nshongi gorilla family alongside other gorilla families in Rushaga. The Gorilla safari lodge cuts across both the luxury and mid-market gorilla safari clientele. Its accommodation is offered in eight (8) cottages with two (2) of these designed as family units with double rooms. The cottages have en suite wash rooms featuring both cold and hot running water, light by solar powered electricity, and a fire place. The gorilla valley lodge is positioned in the south with close proximity to Rushaga where gorilla trekking for the five gorilla groups takes place. The impenetrable forest of Bwindi is ideally one-meter stretch from the lodge verandah giving you an opportunity to connect to the tracking assembly point with ease. Its accommodation is offered in twelve (12) self-contained rooms with private terraces and discerningly furnished with solar powered water heaters and relaxing beds. The jungle sounds and fresh air that arises from this pre-historic forest gives you comfort while enjoying your cup of coffee or a cold beer. Located at the boundary line of Bwindi Impenetrable National Park – the home of the endangered mountain gorillas in Rubuguri town, Gorilla Village lodge is a midrange accommodation establishment that features grass thatched self-contained cottages, simple camping tents and self-camping. The hospitable and well-trained staff is set to give you a memorable stay at this lodge during your gorilla safari. It is crafted in local materials and has restaurant, well stocked bar, campfire, hot and cold showers in each cottage. Due to the road conditions that may not be favorable during rainy seasons, a private 4×4 vehicle is ideal. You can also connect using Public means. There is daily service to Butogota from Kampala passing through Rukungiri and Kihihi towns. However, there is no particular time of departure and arrival. 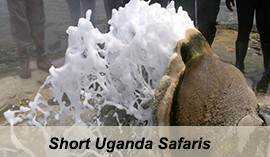 Bwindi impenetrable National Park can also be connected to on a Uganda Gorilla safari using Air travel. Scheduled flights are conducted by aero link to Airstrips of Kihihi and Nyakabande (Kisoro) from Entebbe Airport. Kihihi Airstrip is ideal for gorilla trekking in the northern region of Bwindi while Kisoro is ideal for southern sector. Kayonza Airstrip is also ideal for the north. Air charters also provide service from either Kajjansi or Entebbe to the above respective airstrips. Over 400 mountain Gorillas, 214 species of birds, 7 species of diurnal primate, 129 species of mammals and 202 species of butterfly, 163 species of trees, 104 species of fern alongside other taxa. 16 species of these are endemic to the south western region of Uganda. 9 world-threatened species such as the mountain gorilla, L’Hoest’s Monkey, endangered species of African giant swallowtail, Chaplin’s flycatcher, African broadbill, African elephant, Grauer’s rush Warbler and cream-banded swallowtail.